This entry was posted on April 3, 2019 by Logs Direct. We will be holding our annual event, ‘Log Fest’, again this year on Saturday the 29th of June – a free day out for the whole family as well as an opportunity to see the inner workings of Logs Direct. Whether you already are fascinated with understanding timber and would like to know more, or would just like a unique day out with the kids, Log Fest will be as fun as it will be insightful. Running from 10am to 4pm, the day will showcase the various daily processes that take place at Logs Direct – from delivery of raw timber, to the hand-stacking of log crates. For those that are wood burner owners that have come along to find out which wood is right for their home heating, wood burner and stove specialist, Esse, will be on hand to give answer questions. The large amount of questions about the correct use of timber and our machinery is one of the primary reasons that Log Fest was first launched so be sure to come along and ask any burning questions that you may have. We will also be sampling freshly cooked authentic Italian pizza from wood-fired oven specialists, Valoriani, who will also answer any of your questions should you be thinking of getting a wood-fired pizza oven in the future. Miles Moore Ceramics will also be there to demonstrate the use of wood ash in the art of Raku firing that produces beautiful glazed pottery. Children’s entertainment will include a bouncy castle, truck driving experience, and local ice creams will be on sale as a treat. They will also have the opportunity to learn about the broader story of wood, describing its journey from tree to timber yard and beyond. There will also be the chance to ask our team about the red squirrel conservation scheme that we are running with Nurture Lakeland. 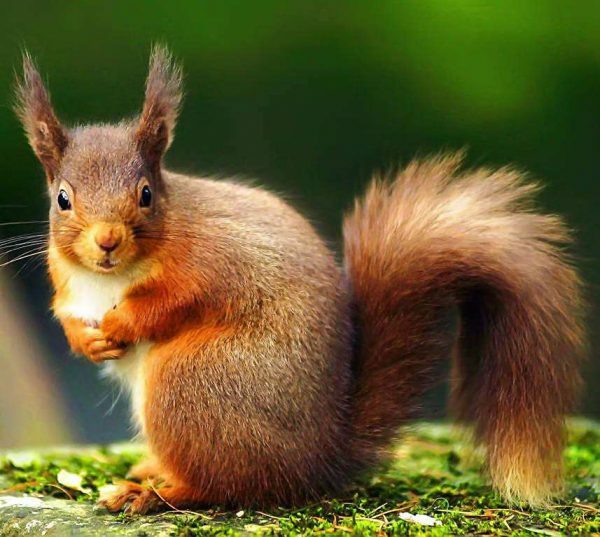 This will include discussing how timber and the red squirrel population is affected by non-native grey squirrels along with ways in which we can counter this. If you think you’d like to attend this event, call our team on 01524 812476 or visit our contact page.